ManageEngine ADManager Plus is a wholesome yet simple-to-use, web-based Active Directory management solution that makes day-to-day AD management immensely easy. The intuitive user interface of the product gets rid of the monotony in using native AD tools. This tool facilitates bulk-creation of AD objects with all properties including Exchange attributes in just a few clicks, or by importing .csv files. ADManager Plus also assists in managing MS-Exchange by creating and configuring mailboxes. The Free, Standard and Professional editions come packaged as a single download. During the evaluation phase, the fully-functional Professional Edition is installed and can be evaluated for 30 days. After 30 days, it is automatically converted to Free Edition, unless the Standard / Professional Edition license is purchased. ADManager Plus is licensed based on the number of Domains and Help-desk Technicians. Below are some frequently asked questions for ADManager Plus. Q. What type of pricing plans does ADManager Plus offer? Q. Who are the typical users of ADManager Plus? Q. What languages does ADManager Plus support? Q. 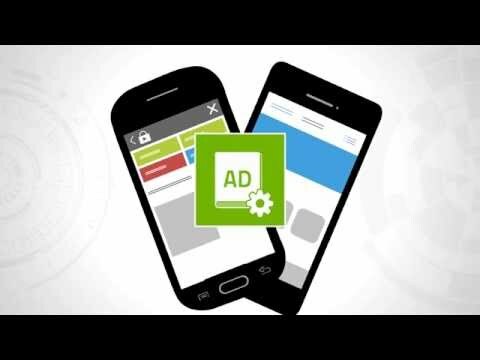 Does ADManager Plus support mobile devices? Q. Does ADManager Plus offer an API? No, ADManager Plus does not have an API available. Q. What other apps does ADManager Plus integrate with? Q. What level of support does ADManager Plus offer? Q. Which apps is ADManager Plus compared to most often?